Have a Ball Party Rentals and Event Planning reserves the right to refuse to complete any event that has the potential to cause damage to its equipment or, in its opinion, may pose undue risk to riders or others in the immediate area. All unit pricing includes free delivery, set-up and removal within a 15 mile radius of Have a Ball. An additional delivery charge may apply if you are not located within 15 miles of our company. 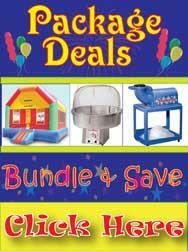 Have a Ball Party Rentals and Event Planning serves the Atlanta Metro Area. 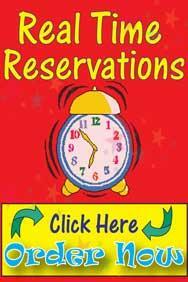 A deposit is required at the time a reservation is made to hold a rental and/or services. The amount of the deposit will vary depending on the unit and/or services requested. 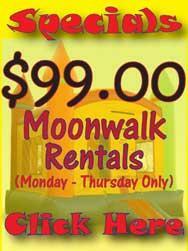 For party rentals, the remaining balance will be due on the day of your event. For event planning services, the payment of the remaining balance will depend on the service requested. Please be sure to inform us of your method of payment for the remaining balance due in advance. If you will be paying by credit card we will need to process your card on the morning of your party or event. We have flexible methods of payments. We gladly accept cash, Visa, MasterCard, Discover, and ATM cards displaing any of these symbols. Sorry for the inconvience, but no personal check will not be accepted. Deposits made for rentals are fully refundable if cancellation is made 5 calendar days prior to the scheduled rental date. The cancellations policy for event planning services will differ depending on the service requested. If full rental amount has been paid in advance, all funds received in excess of the deposit will be fully refundable up to the day of rental, however once the unit or units isare setup, the full amount of the rental is non-refundable. Any and all refunds are issued by check and are mailed to the lessee. Have a ball will not setup equipment in rain, snow, high wind (in excess of 25 mph), or muddy conditions. It is strongly recommended that you reserve an alternate indoor location for your event (such as a church or school gym). In the event of the possibility of bad weather, you will be given the option to cancel 2 hours prior to the event and receive a refund of your deposit if there is a 50% chance of rain or more. If you choose to have us come out and we are unable to set up due to weather conditions (wind, rain, snow, mud) you will forfeit your deposit. Once setup, the full amount of the rental is non-refundable, even if the event is cut short due to bad weather. At temperatures below 45 degrees, the inflatable units can not be set up. If you book an event when there is the possibility of cold weather and you do not have an indoor location, be aware that upon arrival we may not be able to set up the equipment if the air temperature is below 45 degrees. You will be given the option to cancel 2 hours prior to the event and receive a refund of your deposit; however your deposit is not refundable once the units leave our warehouse.